See how regional artists exploit the creative potential of textiles to create new, exciting and meaningful works. 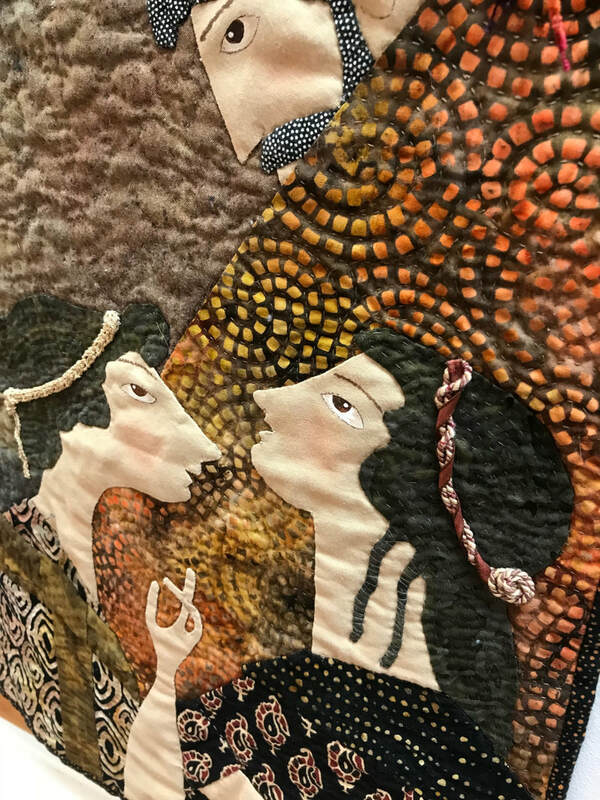 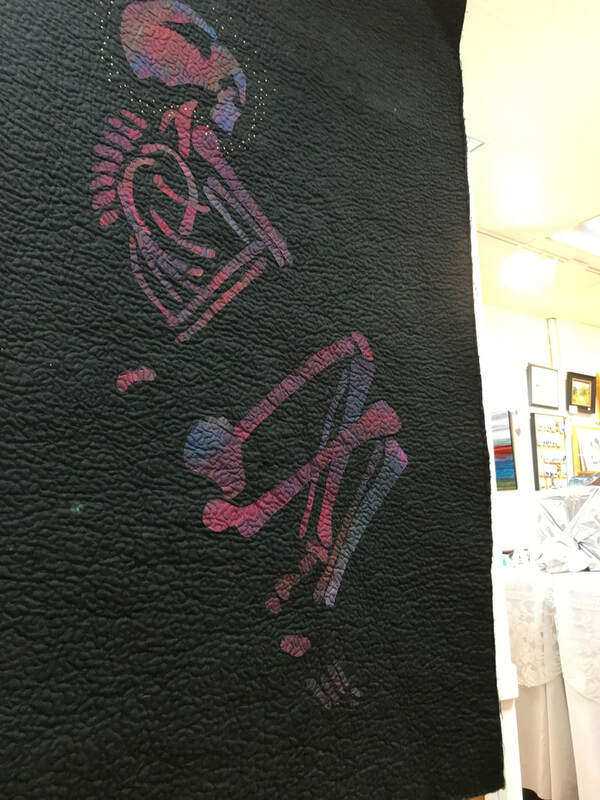 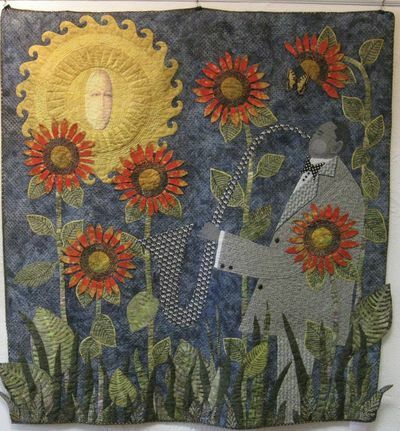 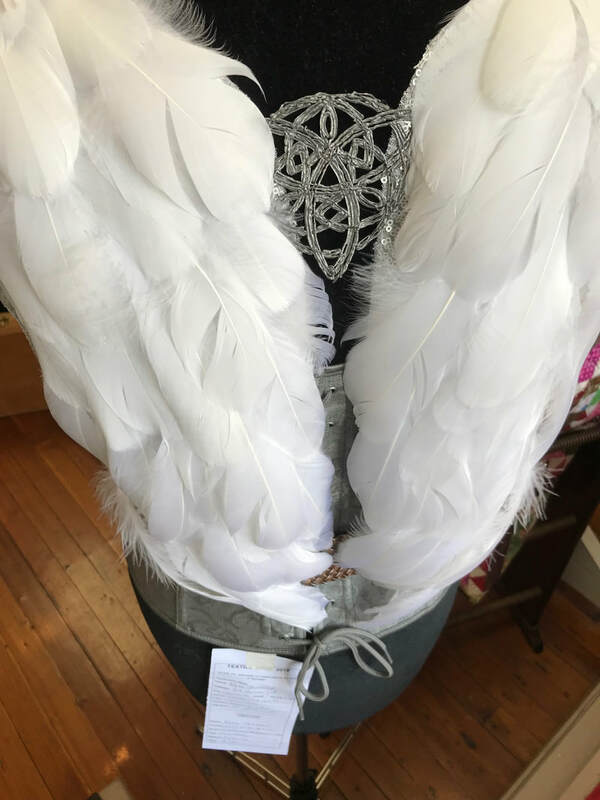 Many of the exhibitors are members of ​SAQA ​(Studio Art Quilt Association) Connecticut, a group dedicated to supporting and promoting professional fiber artists and teachers as well as quilters working to develop their fine art skills. 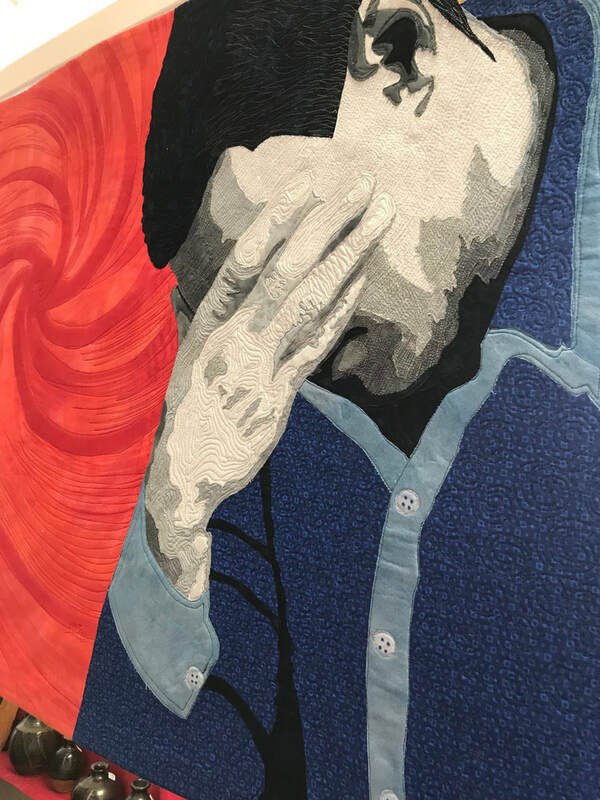 This juried show was judged by well-known textile artist and “Artrepreneur” Clara Nartey, an award-winning artist who has a keen sense of color and design. 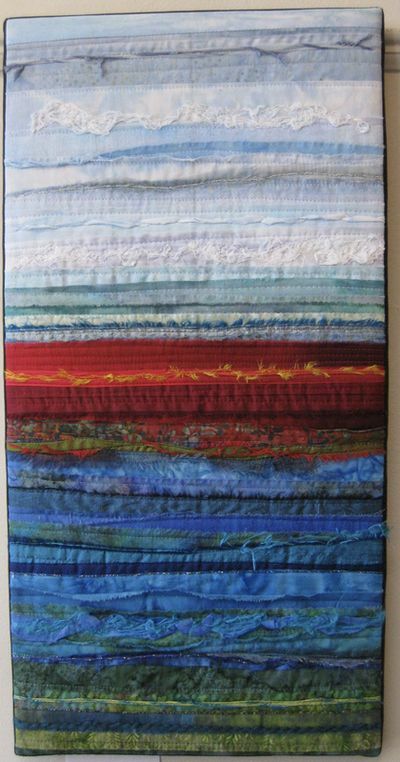 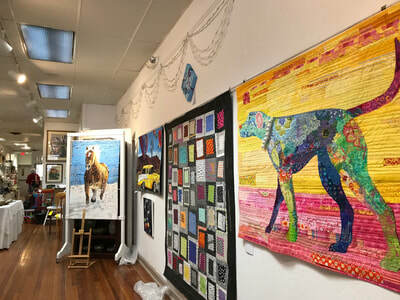 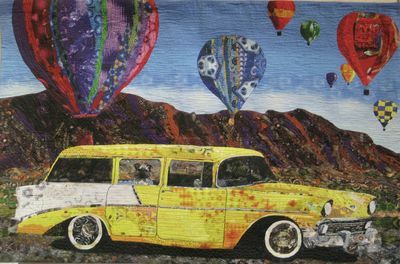 Her textile artwork has been exhibited in both solo and group exhibitions across the USA. 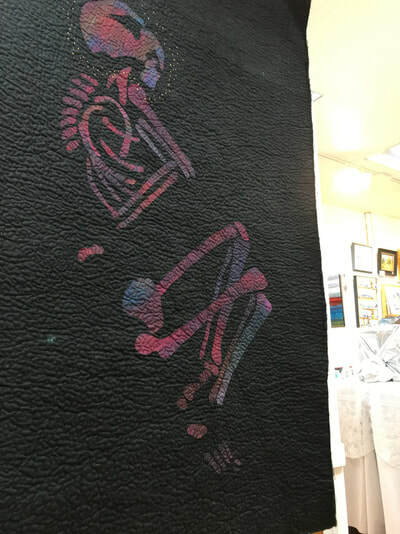 Recently, she managed SAQA CT’s signature exhibition – “Local Color: Inspired by Science”, which is traveling to multiple venues throughout 2018. 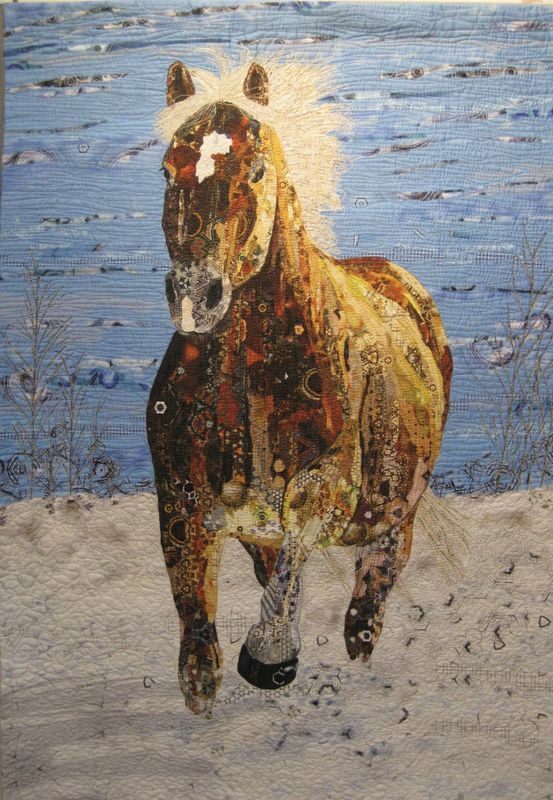 These stunning layered, stitched visual works are an eye-opener: from its roots as a practical craft, quilting has evolved into an art form in its own right. 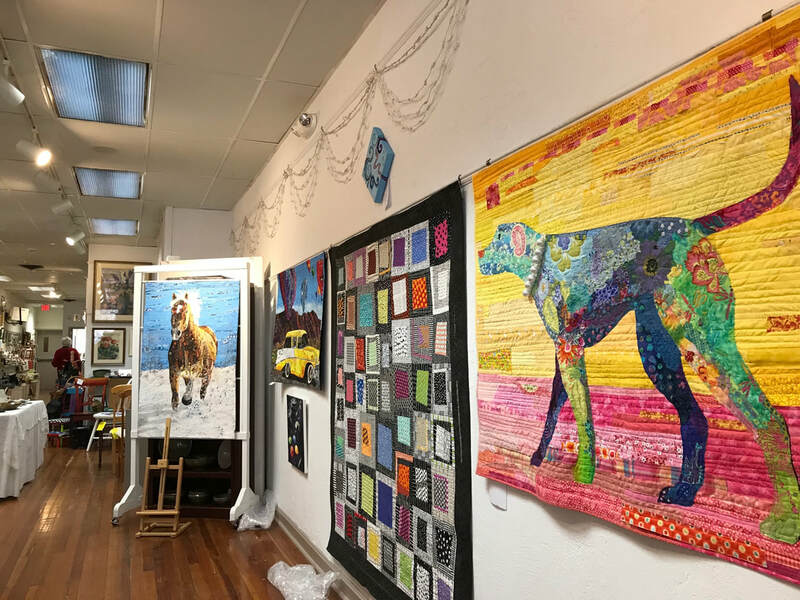 Don't miss this exhibit! 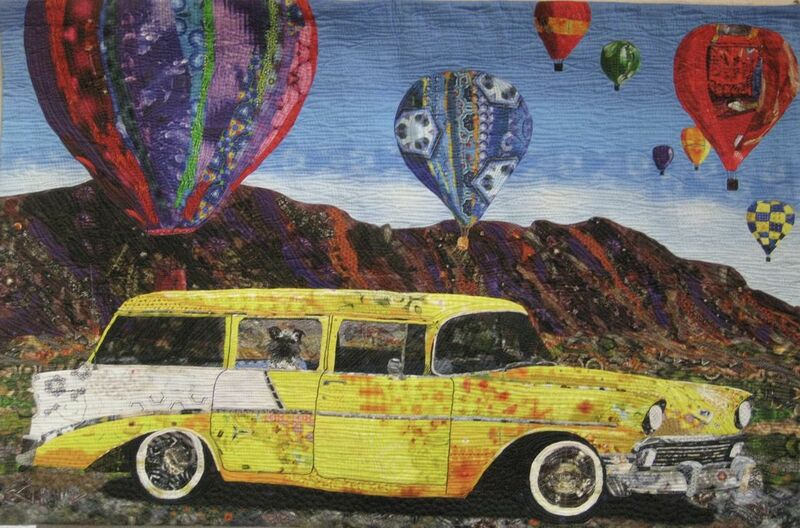 below: a few of the stellar works from "All Things Considered"